PJ here. 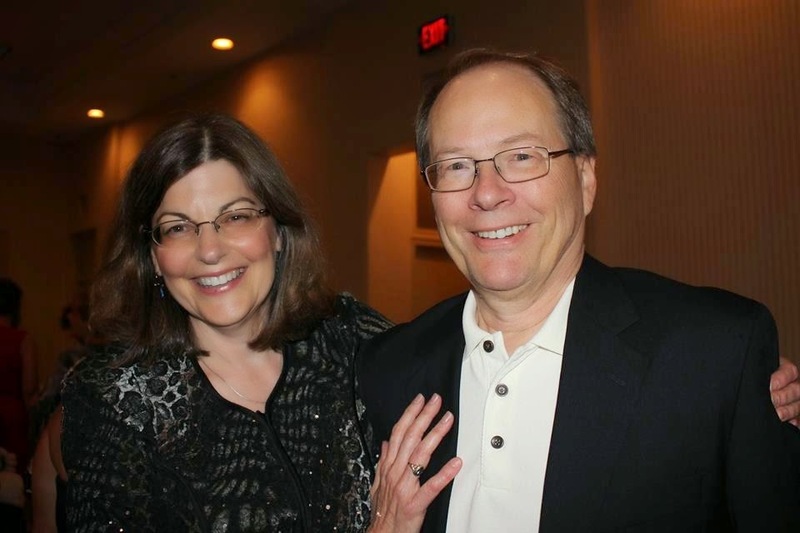 I'm always delighted to host historical romance author Vanessa Kelly and her husband Randy who, together, comprise the contemporary and romantic suspense writing team of V.K. Sykes. Vanessa and Randy join us today to celebrate the release of Meet Me at the Beach, the first book in their new Seashell Bay contemporary romance series. (Read my review here) You can find more information about V.K. Sykes books at their website and connect with them online at Facebook and Twitter. You can also find information about Vanessa's historical romances at her website and connect with her online at Facebook and Twitter as well. Please give them a very warm welcome! Hi PJ and Andrea! Thanks so much for hosting us today. Actually, I should say hosting me (Vanessa). Randy is very shy when it comes to promo, so he tends to leave that to me. But he’s lurking in the background, and you know how much he loves you ladies! I’m so pleased to be here today to talk about Seashell Bay, our new small town contemporary romance series from Forever Romance. This series takes place on a little island off the coast of Maine—in Casco Bay, a very real and very lovely place. If you were to look on the map, you would see that the city of Portland sits at the south end, on the mainland, while dozens of islands dot the bay itself. So many, in fact, that they’re called the Calendar Islands because there are supposed to be 365 of them. You could fill up an entire year visiting an island a day. Cool, eh? Our island, of course, is imaginary but is modeled on the real thing. 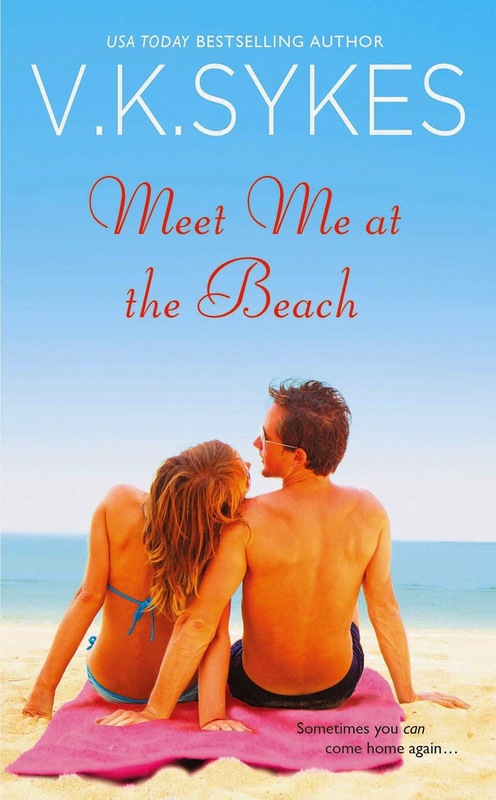 Meet Me at the Beach, book one in the series, features the little town of Seashell Bay on the island of Seashell Bay. The town and the island are both so small that they’re one and the same. It truly is the kind of place where everyone knows your name, which is both good and bad, right? We love small town romance for that sense of community and intimacy, but it also means that most of your neighbors know your business. And in Seashell Bay, it seems that nobody has a problem weighing in on everybody’s business, either! Specifically, everyone wants to know what prodigal son Aiden Flynn is going to do. Aiden left the island years ago when he was offered a contract to play major league baseball. And since he was fleeing an abusive father and lots of unhappy memories, he stayed away. But now he’s back in Seashell Bay, and for a very special reason—he and his father and brother own a sizeable and beautiful piece of land. It’s land that a big city developer is interested in acquiring in order to build townhouses and a large resort. Aiden’s father and brother went to sell their holding for quite a bit of money, but they need Aiden’s signature on the contract to do so. Enter Lily Doyle, a local girl who not only loves Seashell Bay, but also took up her father’s fishing business and now captains a lobster boat. Lily is smart, beautiful, and totally down to earth, and she’s determined to do everything she can to save her lovely island from the big city developer. She and Aiden also have something of a history as each other’s high school crush. To say that Lily and Aiden have sexual chemistry is something of an understatement! But here’s the thing—they never acted on those feelings because the Flynn and Doyle families hate each other. The two families have been involved in a feud that goes back several generations, and Lily and Aiden just couldn’t get past that hostility when they were young. But now they’re both grown up and Aiden is back in Seashell Bay. Will they allow their families to keep them apart again, even if they are on opposite sides of the development project? It’s like Romeo and Juliet, but with lobster, beer, sunshine, and an HEA! Personally, Randy and I think Seashell Bay is a wonderful place to visit—we hope you’ll join us there to find out exactly how Lily and Aiden keep their hardheaded families at bay (no pun intended!). Is there a special place you love to go to for vacation, or do you already live in a special kind of town? Tell us about it for a chance to win a copy of MEET ME AT THE BEACH! I love to visit the Sunshine Coast in QLD. It is truly beautiful. I have family there - bonus. I would love to visit there someday, Mary! We got to Fla every year to visit friends. We're in north Florida, and it's very cold and very rainy right now. Make sure you go south!!! I used to live in southwest Florida. Loved it down there this time of year! PJ and Andrea, thanks so much for hosting us today - we always love being here! We go to N. Fla. but wait until Spring when it warms up and is beautiful. Love the beach and the sunshine and warmth. Lots of beautiful areas in north Florida. I lived in Jacksonville for several years but traveled the entire state with my job. You'll need to wait a few more weeks, petite - it's been cold here in N. Fla! I hope you rested today, lady!! PJ, hope you feel better soon! I have two favorite vacation places - Hatteras Island and Asheville, both in North Carolina. Love the beach and seafood at Hatteras and the mountains and shopping in Asheville. Much of downtown Asheville is dog-friendly, including a used bookstore/wine bar. I am looking forward to reading Meet Me at the Beach, since small town romances are like catnip to me. Laura, I've never been to either place, but I really would like to go - especially Asheville. And I hope you enjoy MMATB - thank you! I read so many books that take place in the east coast. I want to come visit so bad. There are so many pretty places on the east coast, Shari. I love Maine, as you might imagine! I love going to the coast in Northern California. I have fond memories of going to several B & Bs in the Mendocino area. It's SO gorgeous up there! I love visiting Galveston whenever we go to Texas to visit my husband's family. Moody Gardens is my fave. I'd love to go to Galveston - I hear the beaches are fabulous, Michelle! When we lived in On. and the children were little, we would spend a week in the summer at a beach on Lake Huron. The small town and the beautiful setting as well as the Lake with soft sand, which felt like an ocean was perfect. Now that the children are adults with little ones, we go to a beach in Florida which is beautiful, and soothing. Your book is an escape. Traveler, I've spent time up on Lake Huron, on the Bruce Peninsula. Kincardine is such a pretty town! I love going to beach. We live in Ohio and have to travel to any good beach. We've taken the kids to Myrtle Beach, Virginia Beach, Emerald Isle Beach and Hilton Head. Love it there. Great list of beaches, Sue! Congratulations on the new book. There's no special place to go on vacation to, but it's always nice to be near water and have historical places of significance in the vicinity. I don't live at the beach, but my godmother does. I spent a lot of time when I was growing up at her family's house, which is right on Compo Beach in Westport, CT. It has always been one of my favorite places in the whole world. Connecticut is a beautiful state, JamiBee! Congrats on the new book. I have a long list of potential vacation spots, new places: Germany, England, Australia, Alaska, Japan, Hawaii; and some returns: NYCity, Scotland, France, Grand Canyon, Shenandoah Valley, Los Cabos, Florida, Washington D.C. Thank you, LSU Reader! Awesome list! I love the beach, and I love the mountains. I'm a big fan of the mountains too, Denise. Love the Sierras out in Calif.
Marcy, I've spent a lot of time on lakes in Canada. I love the call of the loons! Favorite beach place is Isle of Palms just north of Charleston SC. We're working on getting our reservations for this summer - can't wait - it's been a really loooong winter! I would love to have a favorite beach but since I live smack dab in the middle of the US, no beaches here! But my ideal "fav" would be somewhere in Hawaii :) thanks for sharing and congrats to the VK Sykes writing team! Thank you, Erin! Hope you get to visit Hawaii someday. I'd love to go there, too! There are so many wonderful places, each with their own special charm and attraction. We often find ourselves in the mountains, we love them. We love the coastal areas, too. Not the sandy beaches, but rather the rugged, rocky coastal areas you find in New England, coastal Canada both west and east coast, and the Pacific Northwest. They have a special character that is reflected in the capable, resilient people who live there. We will continue visiting all the places we can, finding what is special about them, and enjoying them. And by the way, we do live just outside a special town. It is the oldest town in Tennessee, is the home of the International Storytelling Center and Festival, and has had many historical figures here in the past, Davey Crockett, and Andrew Jackson to name a couple. The NE corner of TN has the beauty of the Blue Ridge Mountains and lots of history to explore. librarypat, it sounds like you live in a really wonderful part of the country. I've always wanted to visit Tenn.! Would love to visit both places, Glenda! I'd be lying if I said the Port A beach is super impressive, however the Tetons are amazing! Our favorite place to go for vacation is the Florida Panhandle. Love the beaches there! We go in the spring and fall so that it isn't crowded. I live in Stuart, Florida on a barrier island, Hutchinson Island. We have numerous beach areas with parking! Some are huge parking lots, others small. Bath Tub Beach is known for its coral reef and snorkeling. Whatever you want to do rentals are available. People like surfing, wind surfing, kayaking, fishing, boat trips, swimming and sunning. Every year we go to the NC Outer Banks on Hatteras Island and share a huge house with family. It's always my husband and kids, and my brother and sister and law and their kids, and then whoever in our family wants to go each year. It's always the best week of the year! Hi deerdoe69. I live there in the summer, not on Silver Lake but a smaller lake. We moved there in 1986. What a small world! Silvercrest and the Milty Wilty are still open. Would love to go back to Hawaii - went on our honeymoon. Fabulous place.